Home / Blog / Discovering the Great Indian Thali, one cuisine at a time! Discovering the Great Indian Thali, one cuisine at a time! No journey is ever complete until you have sat down for a hearty, traditional meal — and when you’re in India, there’s no better way to absorb her vivacity than to get down to gorging on some authentic, elaborate Thalis. What exactly is the Indian Thali? The Thali is a lavish and elaborate spread of more than 10 food items, on a round plate or a plantain leaf, with small portions of a variety of dishes. The number can range from 10 dishes to 52 dishes, and can be quite intimidating if you don’t know how to get at it! So hop on, as we take you on a journey of the Great Indian Thali, one cuisine at a time. Indulge in a game of Ali Guli Mane or Chauka Bara, while you sip on some chilled Nellikayi Panaka, at this traditional Karunadu Oota dining experience. A colorful spread, with a host of flavors — Karnataka is home to one of the oldest known cuisines. With over 15 dishes to offer, a traditional Kannadiga Oota begins with a glass of chilled gooseberry juice that stimulates the tastebuds, followed by crunchy Dal Vadas (lentil fritters). Karnataka is known for its rich culture and history, and of course, the varied kinds of rice preparations that form a staple part of any meal. Continue your culinary discourse with steaming hot vangi bath or flavored brinjal rice, some sappu (lentils cooked in coconut and chilli gravy). End the meal with Gavale Payasa, which is a decadent rice-based dessert. Pro-tip: The games are addictive, so try not to get distracted while you’re at it because the crunchy Dal Vadas are to be devoured piping hot! 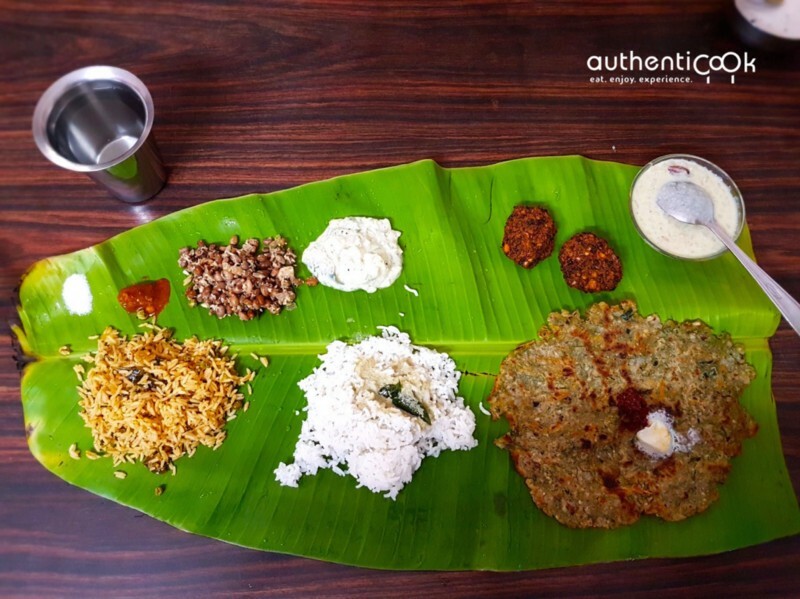 Here’s a sneak-peak into Authenticook’s Kannadiga Oota experience taking place in Basavanagudi, Bengaluru. Bihar’s food and culture is highly influenced by its history — with wide usage of sattu or bengal gram flour and dry five spices (saunf, sarson, methi, ajwain, kalonji). Cooking is mostly done in mustard oil, and is smoked (chokha). Let spiced buttermilk and tangy potato chaat (Katchallu) spruce up your appetite, followed by the traditional Litti-Chokha (wheat balls with gram flour stuffing, served with chokha/bharta (smoked and spiced eggplant). What you need to watch out for, is the Dehati Gosht — which is a slow-cooked meat on Chulhaa that requires 48 hours of marinating in traditional Bihari spices, with a hint of charcoal taste. End the meal with the Malpua, a specialty of Bihari cuisine, and a satiated tummy! Pro-tip: A 3-hour afternoon siesta, is a must! Food is an important role in the Bohra way of life. From indigenous cooking methods, to traditional serving methods, the Bohri Thaal is a magnificent feast. A traditional Bohri meal begins and ends with taking a pinch of salt, which is considered auspicious, and the first dish is a dessert! Yes, you read that right! Unlike common practices, the Bohras begin their meal with the dessert, and alternate between mithaas-kharaas (sweet-savoury) dishes. If the exoticism of it hasn’t gotten you curious, a glance at it will surely do! 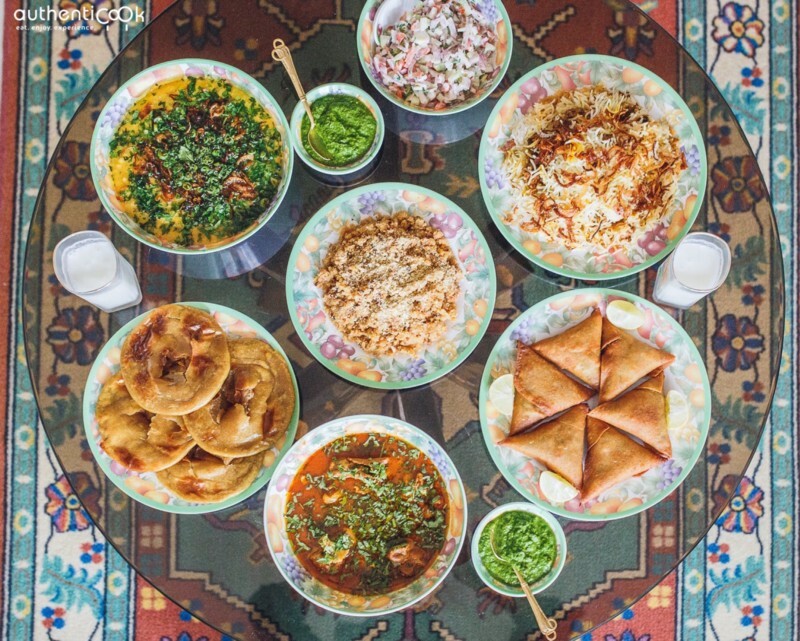 Pro Tip: Forget space and privacy when you’re digging into a Bohri Thaal — it is served on a huge round plate, with 7–8 people seated around it, and it’s traditional to eat together until the last grain has been wiped off! Wondering where to join in for an experience? 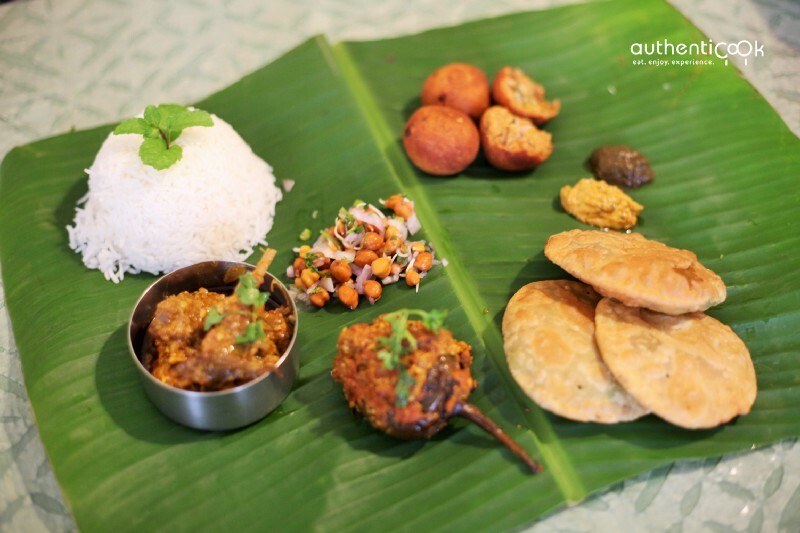 Bengalis love to eat, and it’s a clear giveaway when it comes to the traditional Bengali Thali! Bengali cuisine is a splash of unassuming practices and striking flavors — and fish is not the only thing that makes Bengali food stand out. From Mughal influences to adapting to British tastebuds, Bengali food has gone through modifications over a period of time. However, some of the basics remain intact, bringing out the best in the cuisine. It is an exhaustive treasure trove, and most of it can be experienced while gorging on 15 to 20 dishes in a traditional Bengali Thali. 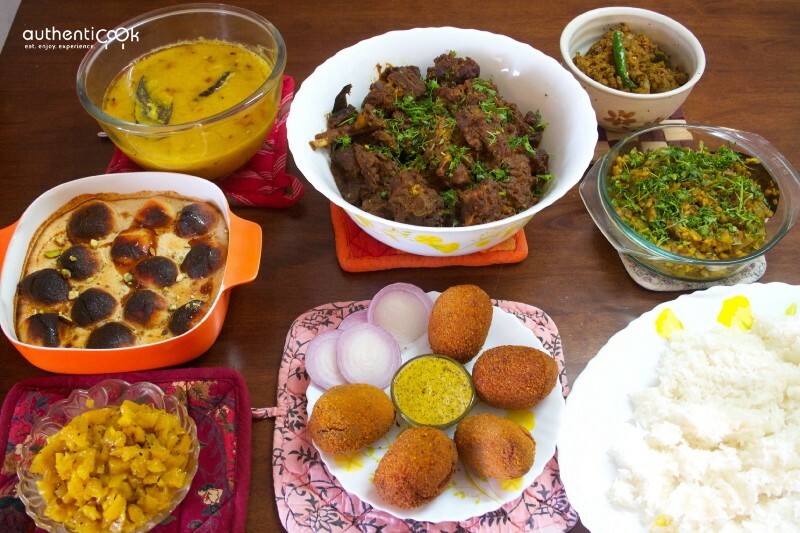 So, here’s a quick guide to the Bangalir Bhuri Bhoj, with Authenticook. Mustard oil is the main medium of cooking in most Bengali households. Pro-tip: Mustard oil is a difficult medium to cook with, because of the pungency and inherent taste. The trick is to let it heat up completely at first, and lower the heat before adding your first spice. A traditional Bengali Thali, like most others, consists of different fried vegetables (bhajas) that are accompaniments to the meal. However, the meal is initiated with fried discs of Karela, or a slightly bitter curry of mixed vegetables (Shukto) that serves as a palette cleanser. This is followed by a wide range of vegetarian and non-vegetarian fairs such as the Bengali puri, or luchi and kosha mangsho (spicy mutton curry). It is well known around the world, a Bengali meal never ends without the sweets — Rasgulla, Mishti Doi, Payesh, and Sandesh — form an integral part of the menu. Wondering where the fish went? Not to worry — the Chingri Malai Curry and mustard-based river fish gravy are loyalists to the white rice that is served. Pro-tip: Dunk soft luchis into the spicy and aromatic Mutton Kosha, and you’ll never try any other combination. Here’s a glimpse of what you could devour at a Bengali’s afternoon meal! 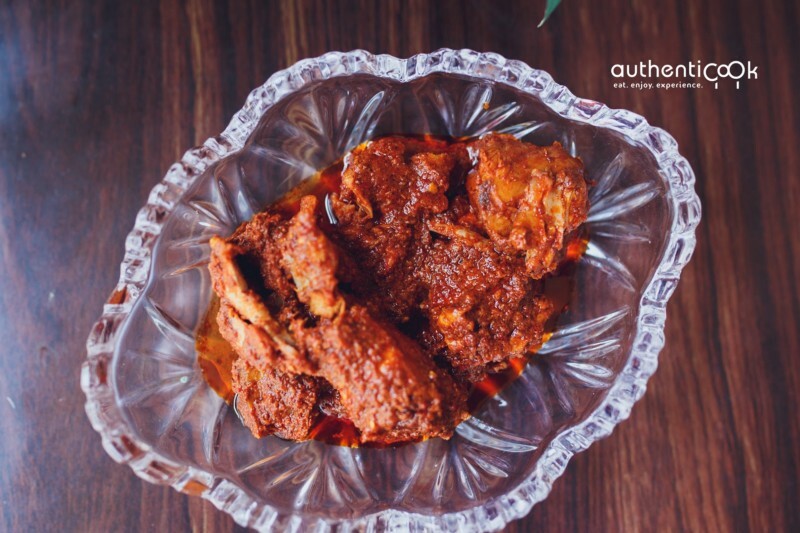 From Kori Rotti to spicy Chicken Ghee Roast — Mangalore is a food lover’s paradise! Authenticook welcomes you to a mini-Mangalorean feast that consists of Chicken Ghee Roast, the famous Mangalore Buns, Hasiru Koli Biryani — which is a traditional Mangalorean Biryani made in green masala, and Payasam! Ghee Roast first originated in the Shetty Lunch Home, or so they claim — and how do you judge the best ghee roast? It’s simple — lots of ghee, spices roasted in lots of ghee, and lots of heat — devour it with Mangalore Buns or paper-thin Neer Dosas — and you wouldn’t ask for anything more. Pro-tip: Byadgi chillies are traditionally used to prepare the spice paste — soak them in warm water, before dry roasting them to enhance the flavours. Thalis are the closest to authentic food you can come to, when in India, and what better than to book a meal with home chefs who have traditional recipes and stories to share — because with Authenticook, you eat, enjoy, AND experience! Chitrapur Saraswats and Ganpati Celebrations! Love your Pomfret? How many different preparations have you had?